Like many manufacturers over the past decade, Nissan will now focus its performance tweaks and package them in a line called NISMO. Mercedes AMG, Subaru STI, BMW M, SRT. These are all performance brands and now Nissan will have its own called NISMO. NISMO is not entirely new to Nissan of course. The NISMO 370Z is already familiar to us. What has changed is Nissan’s focus. In order to bring more attention to the performance aspects of its wide range of models, Nissan will now apply the NISMO treatment to a much larger group of vehicles. The change culminated in a new Yokohama Japan facility in which the NISMO team is consolidated. The all-new facility is a former production site. The idea is that the 180 person NISMO team will all work together, rather than be located in marketing, development, engineering, and production facilities spread out across the company’s many locations. The headquarters were officially opened in a ceremony in which CEO Carlos Ghosn said "NISMO will democratize performance and bring new excitement to the Nissan portfolio with a broader range of affordable and innovative performance models for more markets and more people. Whether it's a small car or a sports car, if it's wearing the NISMO badge it offers something special – quality, functionality, and efficiency, with NISMO's distinctive styling, sporty handling and dynamic performance capabilities." Unlike AMG, NISMO is not a separate entity from Nissan and it will not build its own engines or drivetrains. However, the group does do some fabrication of parts. Since the NISMO badge and performance upgrades will now be applied across a more broad spectrum of the company’s portfolio, it made sense for the actual gear to be installed on NISMO badged vehicles alongside the more mainstream vehicles in Nissan’s production facilities. In other words, NISMO is not a tuner shop. Subaru’s STI group may be the most recognizable performance brand for an Asian based manufacturer. Starting with the Impreza, Subaru has expanded the STI moniker a bit, but still limits the performance treatment to a very limited number of models. Nissan’s plan seems different in that respect. The company says it plans to add NISMO punch to a diverse group of its existing models. Of course the heavy hitter in the Nissan line is the GT-R. Mr. Ghosn commented on that car specifically saying "It would be unthinkable for us to develop a range of NISMO road cars without including the GT-R. The standard production model is a global supercar and the GT-R's performance on track reflects the passion and talents of the NISMO team. The GT-R NISMO will be special and I can't wait to drive it." Tuning a GT-R will be a challenge for the Nissan team since the car is already pretty much “off the hook.” Importantly, Nissan claims that all of the NISMO alterations to its cars will be functional. Nissan plans to first apply the expanded NISMO treatment to a US based car via the Juke, which is coming to the US in the spring. Nissan should think the NISMO cache out carefully, as it has applied a NISMO badge to a Leaf. That may dilute the brand’s performance credentials in the eyes of 370Z and GT-R fans and owners. Much of the hype around these Asian branded performance models is derived from video games. Gamers have long virtually driven models not yet available in the real marketplace. I fact, the Juke NISMO was launched virtually before it was launched in reality. Nissan is not a dumb company. It has very likely studied the demographics and found that the gamers have grown up to the point where they are starting to leave mom’s basement and emerge blinking into the sunlight looking for a car to drive. 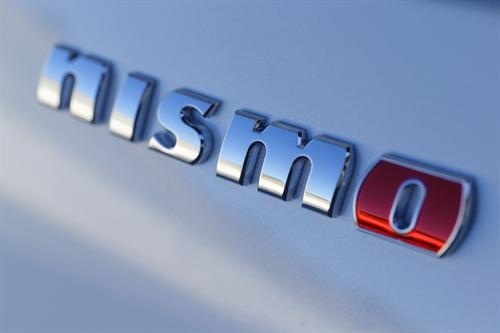 Nissan hopes they will stumble into a NISMO branded vehicle and find it familiar. By moving the NISMO tag onto low cost vehicles like Juke, it has also likely studied the possible spending power of gamers and adjusted accordingly.